22 Characters Under Threat Now That Harry Shearer Has Left "The Simpsons"
Harry Shearer has announced on Twitter that he has left The Simpsons, but showrunner Al Jean says that "we do not plan to kill off any characters." Trying to replace the voices of all of these characters will not be an easy thing to do though. Memorable line: "Don't pooh-pooh a nickel, Lisa. A nickel will get buy you a steak and kidney pie, a cup of coffee, a slice of cheesecake, and a newsreel. With enough change left over to ride the trolley from Battery Park to the polo grounds." Key moment: "Hello there. My name Mr Snrub and I come from...some place far away. Yes, that will do." 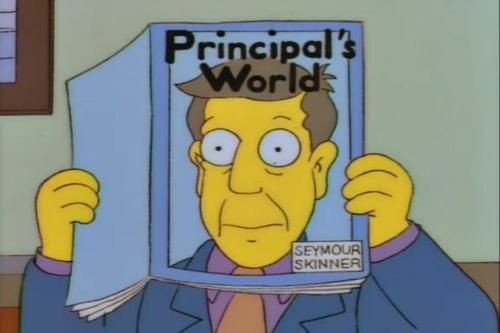 Memorable line: "I like the way Snrub thinks." Memorable line: "Talking out of turn, that's a paddlin'. Looking out the window, that's a paddlin'. Staring at my sandles, that's a paddlin'. Paddling the school canoe, oh you better believe that's a paddlin'." Memorable line: "I'm thinking about holding another meeting...in bed." Memorable Line: "He's all right, but he's no bowl of Special K. Mwah." Memorable line: "Am I out of touch? No, it's the children who are wrong." Memorable line: "I, for one, welcome our new insect overlords." Memorable line: (speaking to Homer whilst wearing a ski-suit) "It feels like I'm wearing nothing at all. Nothing at all. Nothing at ALL." Memorable line: "Kids, say no to drugs!" Memorable line: "I CAST THEE OUT." Memorable line: "Oh, don't tell me about family suffering. My son went down to Earth. I don't know what you people did to him, but he hasn't been the same since." Memorable line: "Since I achieved all my goals as president in one term, there was no need for a second. The end." Memorable line: (Driving the bus) "Stay calm, kids. I need you to be my eyes." Memorable line: "Maybe you could say ''Nobody rocks like Bill and Marty on KBBL.'" Memorable line: "Das ist nicht eine boobie." Memorable line: " It does not matter which way you vote. Either way your planet is doomed. Doomed. Dooooooooooomed. " Memorable line: "I order that joke to be stricken from the record." 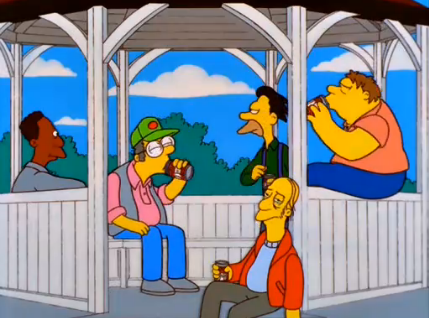 Memorable line: (Responding to Wiggum about him visiting a branch of McDonald's) "Huh. 'Shakes.' You don't know what you're getting." Memorable line: "That was a close one, Lisa, but you made it. No, you regained consciousness. Alison won first chair. And believe me, THIS IS NOT A DREAM." Shearer's also voiced Herman Hermann, Bill Clinton, King Snorky, Mr Black, Count Fudge-ula, John Travolta, Bob Dole, George Cauldron, Admiral Man, Birch Barlow, Jebediah Springfield, and many, many others. Quiz: Were You Saying Boo Or Boo-Urns?